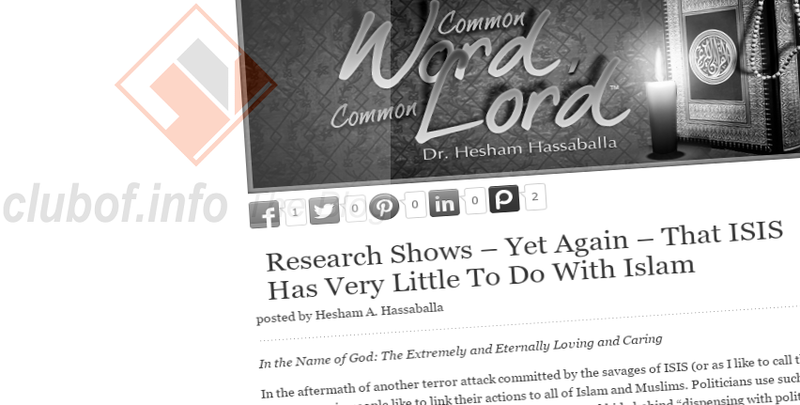 While others take to the internet to express their idea that all Muslims are suicide bombers, Beliefnet contributor Hesham Hassaballa points out the lack of understanding ISIS terrorists actually have about Islam in a recent post. Citing The Nation and other sources, the blogger noted that many people are obsessed saying ISIS followers are Muslims, as if this is important. They refer to Islam as the reason for ISIS atrocities such as the recent attack in Brussels. These obsessives use such facts to support their claims that Muslims are inherently violent and Islam is a problematic, uncivilized belief. The Islamophobia being countered by Hassaballa - which is gaining apparent support among conservative politicians and voters in the United States and Europe - is actually on par with claiming that the source of Nazism or the Ku Klux Klan is being white or Christian. Proponents of the "Muslims are violent" hypothesis find their connection between Islam and terrorism to be logical, and fail to understand any argument presented against it. If faced with the above argument, they will just assume they are being called a racist or that you really are saying all white people are evil. @LOrdreNet @GodFaithPen I never said muslim=Isis. I asked if any other religions are in Isis. And YOU accused me of being a NAZI. One way of looking at this would be to consider, why is "Islamic" important in labeling terrorists in media and political rhetoric? Why not point out if they are a Jew, Christian or Hindu? Why only connect Islam with murder? We also never see victims of terror labelled as Islamic. Only terrorists are ever labelled as Islamic. While the belief among some westerners that Muslims are violent is disturbing in itself, there are even more ignorant views being carried through social media. Some of them portray the problems of terrorism in the Middle East itself as coming from "Muslims" and proving how dangerous Muslims are, despite the fact that Muslims typically make up 100% of the victims and have inhabited the area peacefully for hundreds of years. In other words, these bigots only use the word "Muslim" for anyone who commits murder, and fail to use it for the 1.3 million people murdered by US forces in the Middle East during the "war on terror" or the vast majority of victims of terrorism every day.